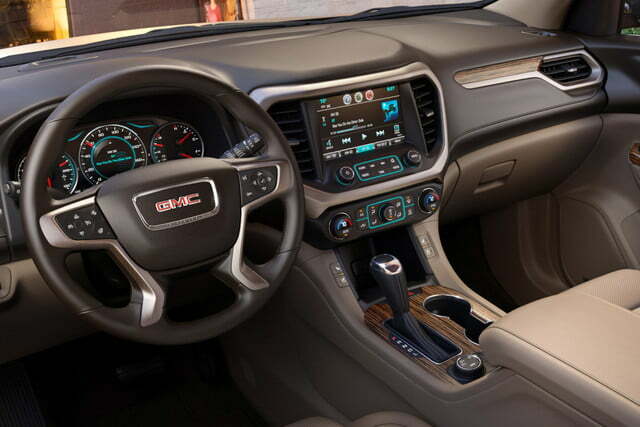 The GMC Acadia isn’t the kind of car that warms enthusiasts’ hearts. It’s a big three-row crossover that’s a pair of sliding doors away from being a minivan. Many serious petrolheads may not have even noticed that the current-generation Acadia has been on sale for almost a decade, but the droves of average consumers who actually buy it have. 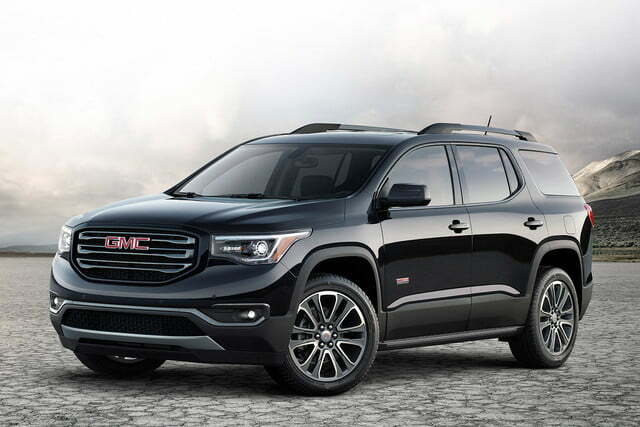 The 2017 GMC Acadia debuts at the 2016 Detroit Auto Show, marking the first full redesign ever for GMC’s three-row crossover. 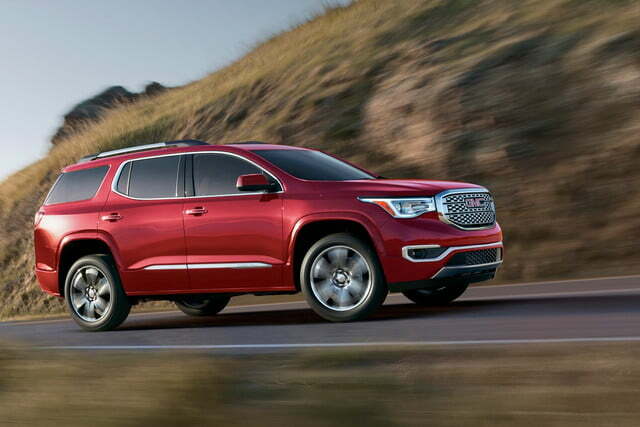 It’s still not the sportiest vehicle around, but the Acadia is lighter on its feet than before, more efficient, and boasts more technology too. This redesign started from the ground up or, rather, the frame rails. 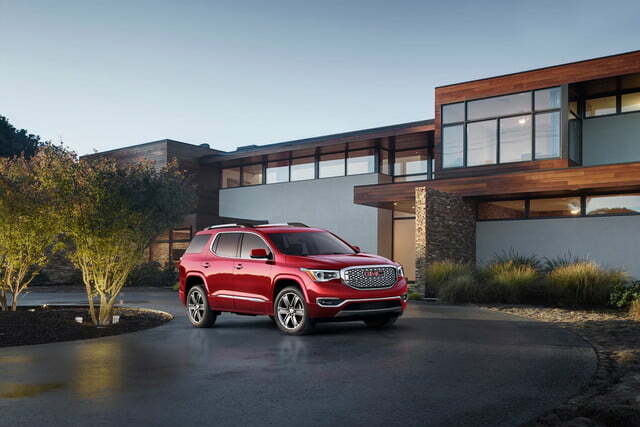 The 2017 Acadia rides on a new platform that makes extensive use of high-strength steel, which helps make the new model about 700 pounds lighter than its predecessor. That should make a difference in fuel economy, as will the addition of a 2.5-liter four-cylinder engine as standard equipment. It produces 194 horsepower and 190 pound-feet of torque. Buyers looking for a little more grunt will be able to specify a 3.6-liter V6 with 310 hp and 271 lb-ft in place of the four-banger. 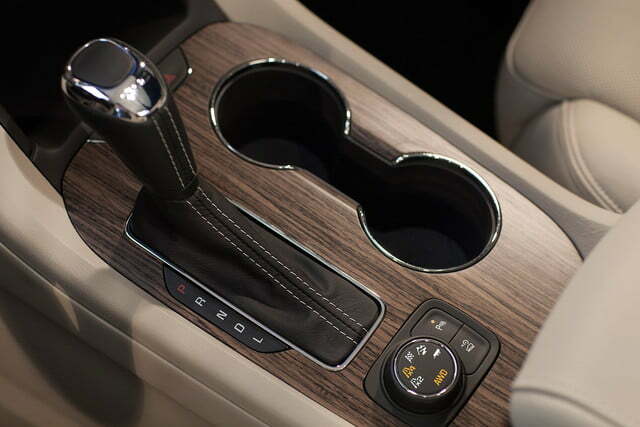 Both engines are mated to six-speed automatic transmissions. 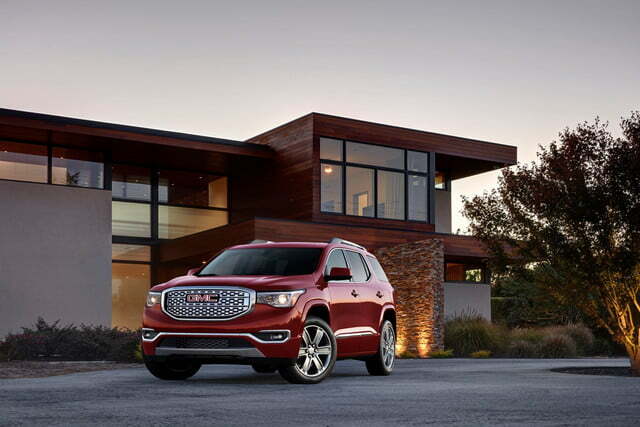 As before, the Acadia comes standard with front-wheel drive, while all-wheel drive is available as an option. 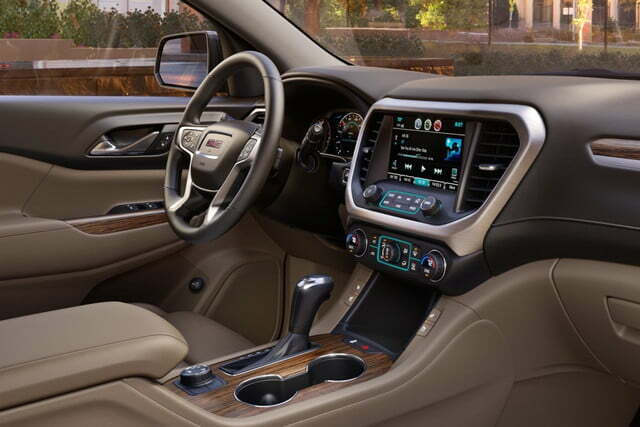 The mechanical changes may be all about shedding weight and improving efficiency, but the Acadia’s new styling goes in a more old-school, truck-like direction. A massive grille tops off the blunt front end, and big boxy wheel wells are topped by muscular flares. It almost looks like a Dodge Durango. 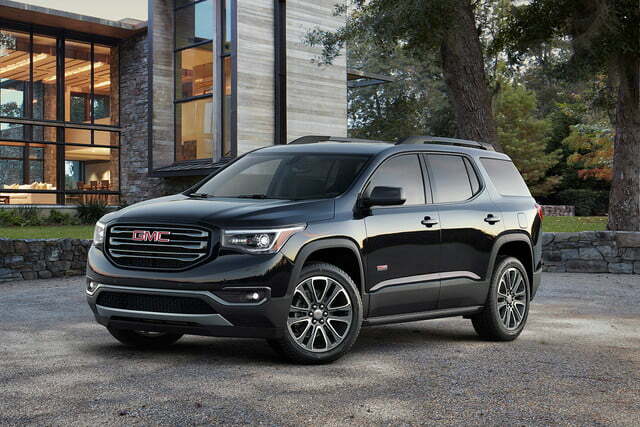 The Denali trim level that makes up a significant chunk of sales for all GMC models also returns, complete with glitzy grille. 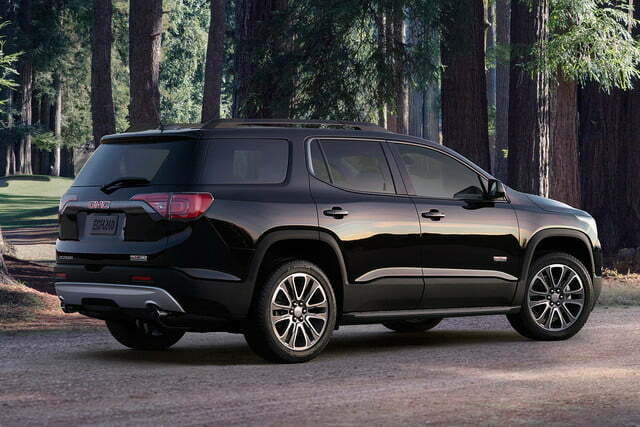 Like the Sierra pickup truck, the Acadia also gets an All Terrain trim with more rugged styling, and a model-specific all-wheel drive system meant to enhance its off-road capabilities somewhat. One area where the old Acadia showed its age was in the tech department. 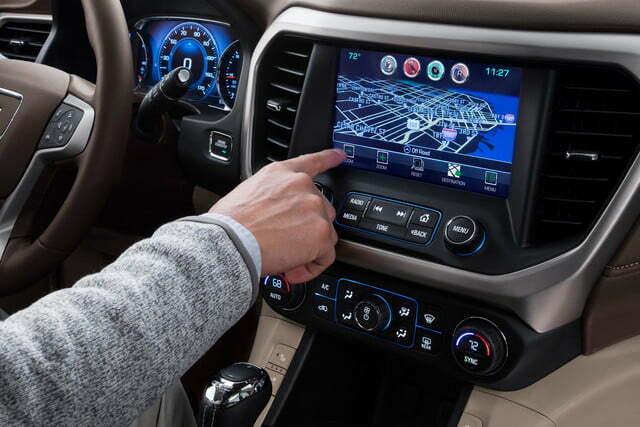 It was one of the only GM vehicles not upgraded with the company’s 4G LTE system and built-in Wi-Fi hotspot, something that is available on the new model. The hotspot can support up to seven devices, and comes with a three-month/three-gigabyte trial. 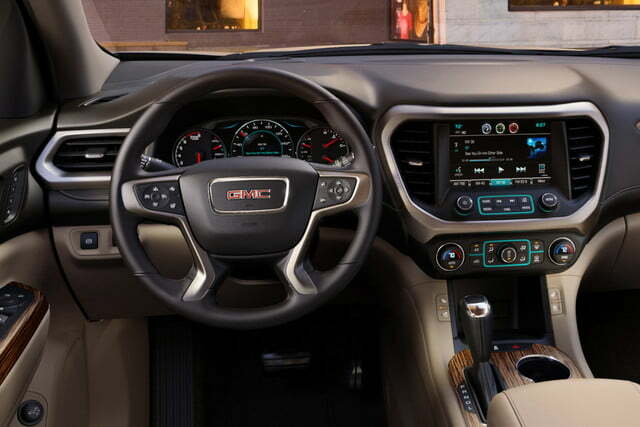 The 2017 Acadia also gets the latest version of GMC’s IntelliLink infotainment system, with Apple CarPlay and Android Auto, and all three rows get USB ports. 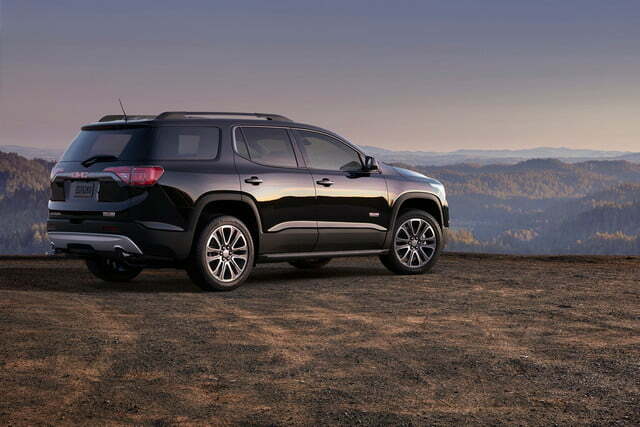 The 2017 GMC Acadia goes on sale this spring. Expect new versions of the related Buick Enclave and Chevrolet Traverse to follow it to showrooms.